Shakuhachi Bags | Mejiro Co.
Leather shakuhachi bag. Made in Japan. 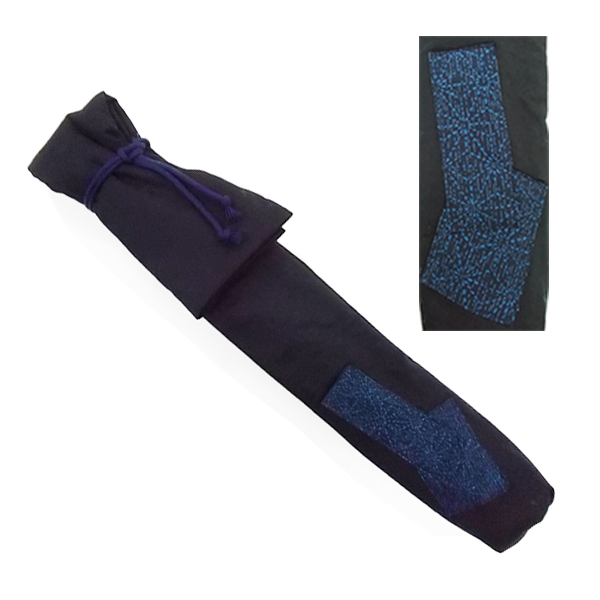 -Simple 100% cotton bag to store your precious shakuhachi. -Due to different computer monitors, colors may vary slightly from the picture. Polyester cushion is sewn inside and this bag will protect your shakuhachi safe and secure! Color: Blue, *Print pattern might slightly differ from the image shown. Polyester cushion is padded inside and this bag will protect your shakuhachi safe and secure! Fabric: 100% Cotton, Vertical type. Comes with beautiful lining with a Japanese twining cord.